During a twenty-five year corporate career, from 1981-2004, Christopher Clouser held senior level positions including: President of Burger King Brands; President and CEO of Preview Travel/Travelocity; CEO of the Minnesota Twins Major League Baseball Club; Senior Vice President & Chief Communications Officer of Northwest Airlines; Corporate Vice President of Public Affairs and Communications of Hallmark Cards; and Senior Vice President and Chief Administrative Officer of Sprint. He has served on the corporate Boards of Directors of Piper Jaffray Inc., Gibson Guitar/Baldwin Corp., Mall of America, Pepsi Americas, Marquette Bancshares, Delta Beverage and Mesaba Aviation. Currently Mr. Clouser is Co-Chairman of the Advisory Board of Transamerica Retirement Management (TRM), and Co-Chairman of D and D Holdings of Cabo San Lucas, Mexico. He also serves as Chairman of the International Tennis Hall of Fame and Museum in Newport, Rhode Island. Prior to his current positions, he was President of the Association of Tennis Professions (ATP), where he also served as Chairman of ATP Properties and Chair of the ATP Foundation. Mr. Clouser is the founder of the Northwest Airlines charitable assistance program, Aircares; the Minnesota Walk for Hunger; and the Children’s Music and Art Foundation. He has served on numerous charitable organizations including, the Muscular Dystrophy Association, The Taste of the NFL/ Hunger Related Events board, the Epilepsy Foundation of America and the Advertising Council. After attending the University Missouri, Mr. Clouser joined the staff of Senator Thomas F. Eagleton of Missouri in 1973. Mr. Loeb serves as the President of Leap Tide Capital Management, Inc. He has been the Managing Member of Leap Tide Capital Management LLC since 2007. From 2005 to 2007, he served as the President of Leap Tide’s predecessor, Leap Tide Capital Management Inc., which was formerly known as AmTrust Capital Management Inc. He served as a Portfolio Manager of Chesapeake Partners from February 2004 to January 2005. From January 2002 to December 2004, he served as Managing Director at Jefferies & Company, Inc. From 1994 to 2001, he served as Managing Director at Dresdner Kleinwort Wasserstein, Inc. (formerly Wasserstein Perella & Co., Inc.). He was Research Analyst at Dresdner Kleinwort, Research Division. 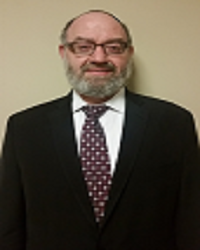 He has been a Director of Gyrotron Technology, Inc. since July 2014. He has been a Director of TAT Technologies, Ltd. since August 2009. He served as a Lead Director of American Pacific Corporation from July 8, 2013 to February 27, 2014, and also served as its Director from January 1997 to February 27, 2014. 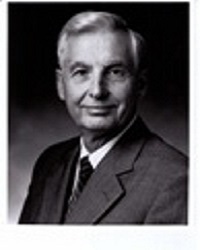 Edgar S. Woolard, Jr. retired as chairman of the Board of Directors of DuPont on October 29, 1997. He remained a director until his retirement from the board effective January 1, 2000. Mr. Woolard was born April 15, 1934, in Washington, North Carolina. In 1956, he received a Bachelor of Science degree in industrial engineering from the North Carolina State University. He is a former director of the New York Stock Exchange Inc., Telex Communications Inc., Citigroup Inc., IBM, Apple Computer Inc., and Bell Atlantic Delaware. He is also a former Chairman of the Business Council. He is a member of the National Academy of Engineering and the American Philosophical Society. Walter Czarnecki has over 15 years of management, strategy and P&L leadership experience building high-growth companies in technology and energy across global markets. 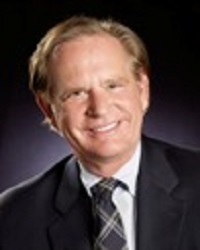 Prior to his appointment at OmniMetrix, Walter served as Vice President of Business Development at Acorn Energy (OmniMetrix parent company), and previously as Director of Corporate Strategy at Ener1, Inc., a maker of lithium-ion energy storage solutions for electric vehicles, grid storage and military applications. There he negotiated and managed Ener1’s joint venture with China’s largest Tier I auto parts supplier, Wanxiang, a $26 billion global conglomerate. Prior to Ener1, Walter spent four years in Beijing, where he led the Energy Technology team for China Renaissance Partners, a Chinese investment bank with over $6 billion in transactions. Prior to China Renaissance, Walter established the University of Maryland’s China strategy and increased revenue by $3.6 million. He began his career at Lehman Brothers Investment Banking in New York. Walter holds an MBA in Finance from the Wharton School and an MA in International Studies with a focus on Mandarin and East Asian Studies from the Lauder Institute at the University of Pennsylvania. He is professionally proficient in Mandarin Chinese and graduated Phi Beta Kappa from Bucknell University. 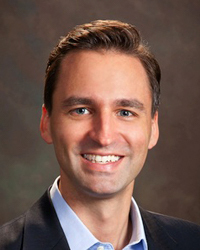 In 2015, Walter was named in Wharton’s 40 Under 40 list.